We painted our dark UPVC window frames white, to make them look cleaner, more contemporary and to brighten up the whole room. I'll start with a bit of a trademark pre-amble - We were guests in a holiday cottage a couple of years ago where every window was different (presumably updated at different renovations through the years, much like our home) The window frames were all painted a uniform white and it worked, you wouldn't have noticed the odd windows if you weren't looking out for these things - Which I do, cause I'm a renovation geek. 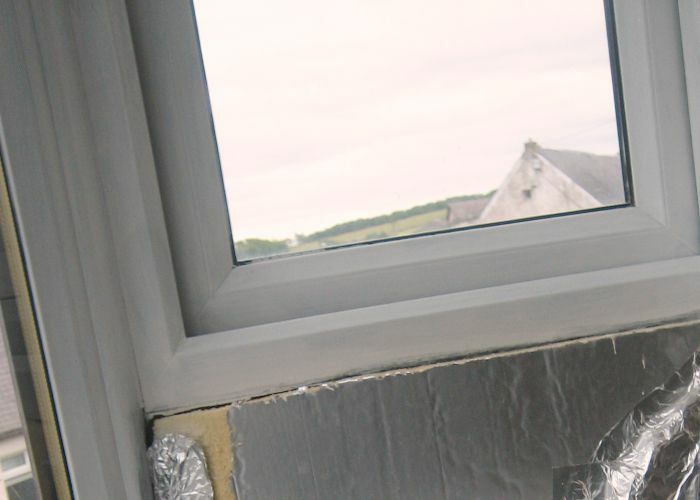 To add to that, I have never liked UPVC, I don't understand why you would choose to put that quantity of plastic in the structure of your home - but UPVC windows are cheap and relatively maintenance free - So I guess I can see the benefits. Anywhoos, we decided to copy this holiday cottage's trick and paint all of our mishmash of window frames a uniform white. We are working on Teeny's room just now and this is the first UPVC paint job we have tried. I used an all surface primer (which states on the tin that it is suitable for UPVC) Several manfacturers do this kind of product. 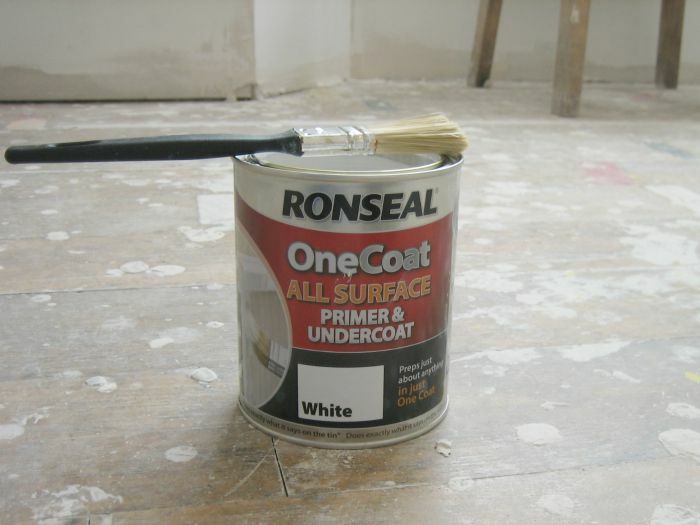 I went for ronseal for no more reason than I have found it a dependable brand, and it was on the shelf. The next evening I applied a single coat of white eggshell. We are a 'pure brilliant white' kind of home, we have dabbled in colours and will do again for accents, but we tend to go for 'pure brilliant white' for all the basics. The primer made such a good job you could easily go for any light colour on top. Job done... well almost done... As you can see the insulation still needs boxed in so I'm waiting for the window ledge and surrounding gubbins to be fitted then that will be painted to match before the final gentle sand and last coat of eggshell - but they look really good as they are and if you are looking for a quick update I can recommend painting your UPVC window frames. 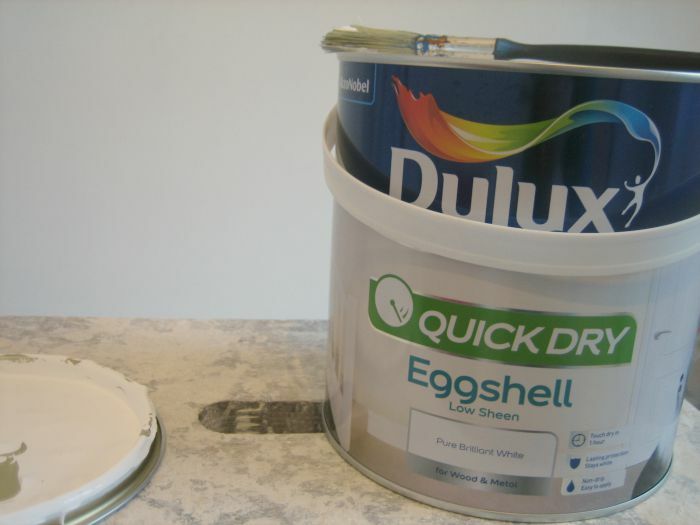 The finish coat is Dulux Quick Dry Eggshell in Pure Brilliant White - This is my first foray into quick-dry eggshell, it is water based so not as nasty to clean up as other eggshell finishes I have used in the past - so far so good. 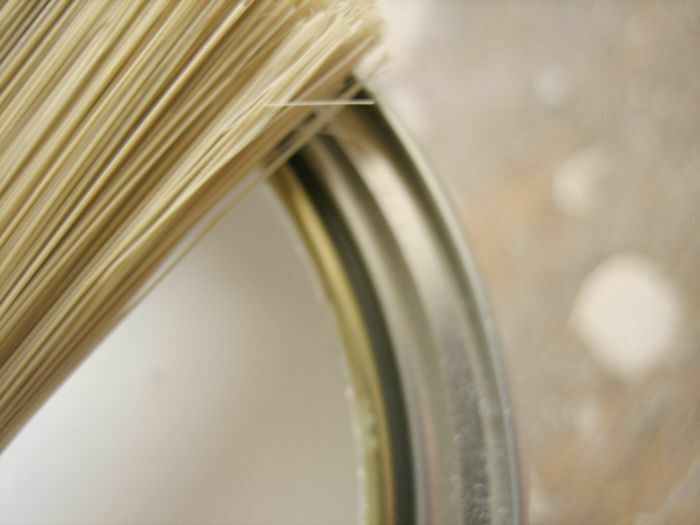 The paintbrushes I am using just now came from IKEA - they are surprisingly good for the price. I used to share my musical choices when DIYing but I was listening to the audio book of Northanger Abbey while painting... I found it rather dull, and not very good to sing along to.